To enhance access to the community, the DRA also launched a brand new Downtown Raleigh website. The redesigned website offers quick and easy access to downtown information and a user-friendly experience for computers, smartphones, and tablets. “We were so excited to take on this project and provide a better, more functional online flagship for the Downtown community. 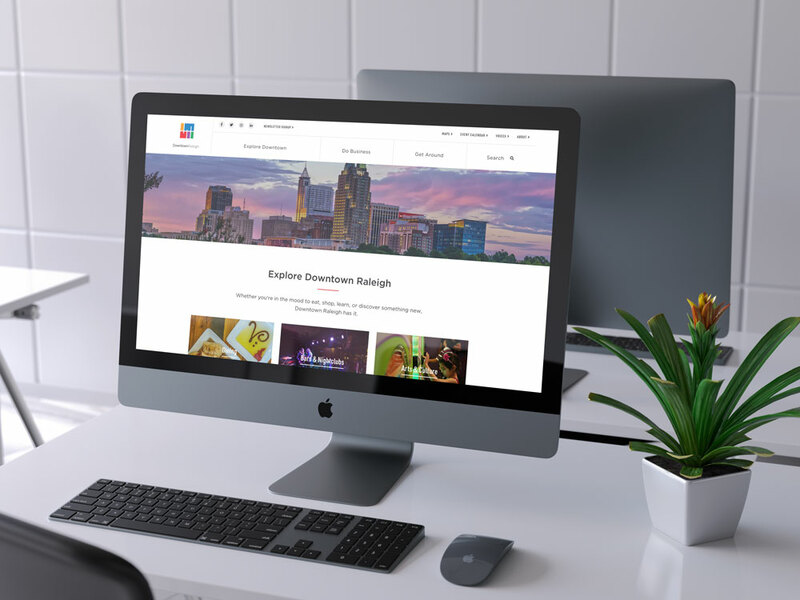 A decade removed from the last DRA website overhaul, the new site combines best practices in web development with a truly local aesthetic that incorporates iconic imagery of Downtown Raleigh,” shared DRA President/CEO Kristopher Larson. In addition to the website being adaptive to any screen, it was built around a focus on accessibility. The website was tested with assistive technologies including screen reading and magnification software and considered usability issues, going beyond minimum accessibility standards. The "Super Map" allows users to select what they want to see by selecting layers of different groups, giving them a snapshot of downtown from an aerial view. New drone video footage and beautiful photos provided by local photographers including Brios Media and Matt Robinson of Raleigh Skyline, respectively. A new human interest section called “Voices” which will include blog posts, interviews and features, special announcements, and more. A live feed of the R-LINE with up-to-the-minute stop information.